To purchase Letters To Baghdad - A Tribute To Our Troops, go to www.CliffKnizley.com. Click to enter the site and you will see a New Release icon in the lower left corner. Click it. BUY IT. Get GREAT music and support a GREAT cause. 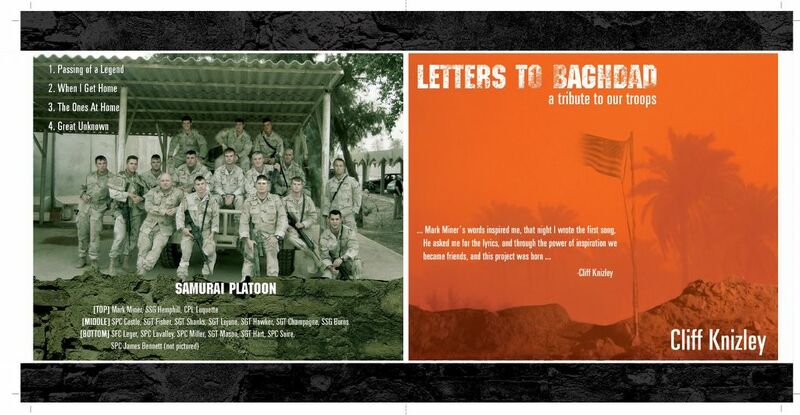 As I mentioned several weeks ago... Cliff Knizley, a great musician out of Gainesville, FL, has created an incredible album called Letters To Baghdad - A Tribute To Our Troops. 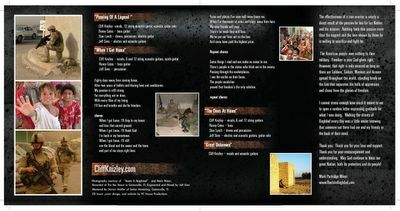 The CD will be available for online purchase very soon at CliffKnizley.com. I will be a the CD release party Wednesday December 21 in Ocala, FL at the Tin Cup Tavern. If you live in Ocala be sure to listen to Cliff and I on 97.3 The Sky with Chip Morris and Mr. PC Wednesday afternoon. 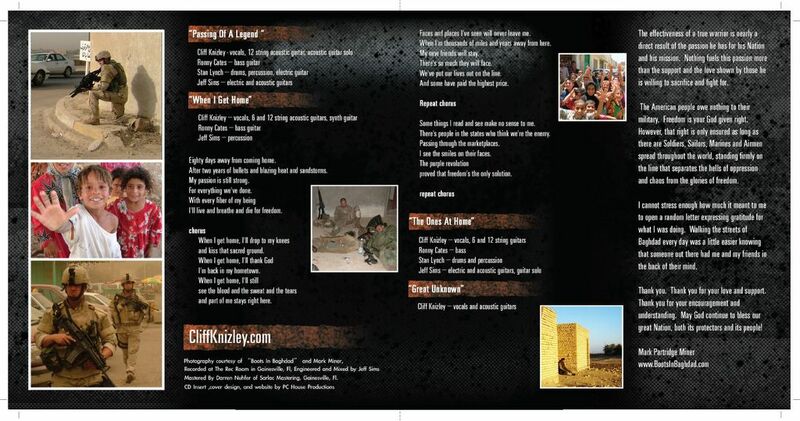 Proceeds from this album will be donated to various soldier charities to include Lest They Be Forgotten, Homes For Our Troops and Freedom Alliance. So, not only do you get some beautiful music, you get to help some soldiers! 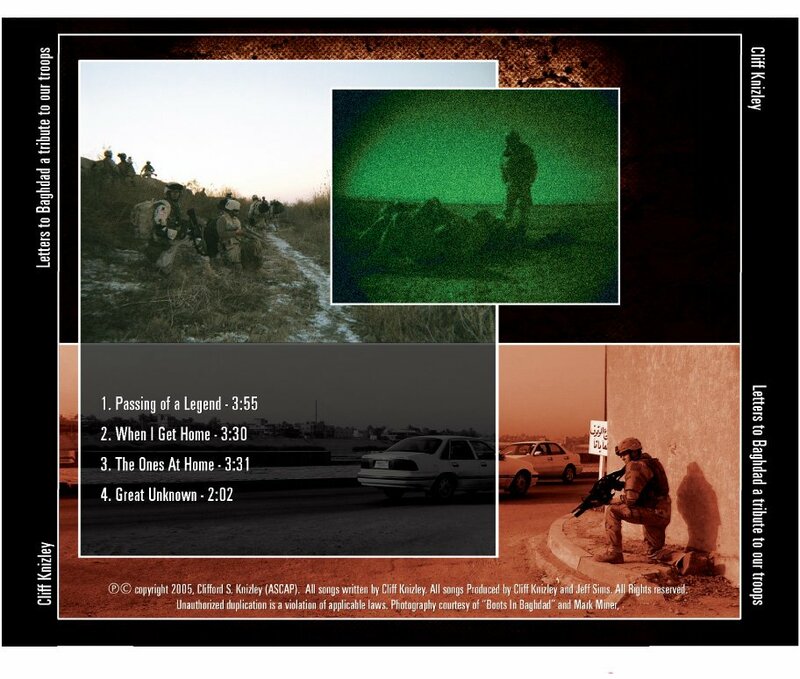 Below is some of the album's art which consists of pictures from Boots In Baghdad. As soon as the CD is available online I will put the link up. There is NO EXCUSE not to buy this folks. Very soon, Iraq's mosques will call upon believers to wake up and pray, shortly thereafter, a Greek ghost named DEMOCRACY will call upon all Iraqis, believers and non-believers, Muslims and Christians, Kurds and Arabs, Sunnis and Shi'a, Turkomen and Yezedis, everyone over the age of 18 to go and vote for the first full-term democratic government in the history of this ancient land. "This day is revenge for Saddam"
BAGHDAD, Iraq (AP) - Trodding along streets emptied of traffic, Iraqis swarmed to polling stations Thursday, lined up patiently to be searched, pored over long paper ballots with dozens and dozens of candidate lists and then cast their votes for a permanent legislature. Men emerged from one polling site in the capital's Sadr City neighborhood jubilantly waving hands with fingers stained with indelible purple ink to prevent multiple voting. Policemen guarding a station in another part of Baghdad fired their guns in the air to mark the scheduled end of voting, but authorities then ordered that balloting be extended an hour because of heavy turnout across the country. Some people walked through the streets wrapped in Iraq's flag. In the northern city of Mosul, the streets were like a giant playground. Thousands of children took advantage of a countrywide ban on nonmilitary traffic to turn major roads into soccer fields. Families strolled through residential neighborhoods after voting. Turnout out was even heavy in Sunni Arab areas, which mostly boycotted last January's election of an interim parliament. The mood there was often defiant, with voters from that formerly powerful minority critical of the Shiite Muslim-dominated interim government. Omar Badry, a 28-year-old supermarket owner, said that government was "imposed by the Americans and not chosen by the people." He said he voted for the Iraqi Accordance Front of Adnan al-Dulaimi because its leaders "always spoke out against the military operations in Sunni areas and even in Shiite ones." Tareq Moustafa Abdullah, a 70-year-old Sunni who is a retired government employee, said he regretted not voting in January "because we ended up with people who do not know God as a result." Ballots ran short in Fallujah, a predominantly Sunni stronghold overrun by U.S. troops a year ago. Mayor Dhari Youssef al-Arsan said 11 of the city's 35 polling stations did not get ballot boxes at all and some sites ran out of ballots in the first hours of voting. "Participation from the people was very good and unexpected. The biggest indication is that polling sites were running out of ballots because they were not expecting so many people," al-Arsan said, estimating nearly half of eligible voters cast ballots. Violence appeared to be light. Despite promises from major insurgent groups not to attack polling stations, a mortar shell killed one civilian near a voting site in the northern city of Tal Afar and a grenade killed a school guard near a polling place in Mosul. Several bombs were found along major roads leading to polling stations in predominantly Sunni Arab neighborhoods and destroyed, the U.S. military reported. 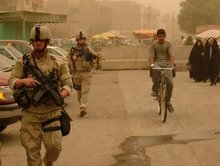 After checking security at polling stations, American troops moved out of the areas and left security to Iraqi police and soldiers. In the insurgent hotbed of Ramadi, masked gunmen were seen guarding some voting sites. Security officers searched people entering polling stations to guard against attacks. At some sites, men and women lined up at separate entrances. At others, they stood together, waiting their turn to be handed lengthy ballots. The mood was upbeat among the country's Shiite Muslim majority and in Kurdish areas, where people expressed hope that the new government will make strides against the insurgency. "We hope that they will bring us security and safety," 80-year-old Abbasiya Ahmad said after voting for the governing Shiite United Iraqi Alliance at Baghdad city hall. Many Iraqis celebrated the election as another step away from the brutal reign of Saddam Hussein. "This is day is revenge for Saddam. This is one of the times that Iraqis are free to choose their candidates," said Chiman Saleh, 39, a Kurdish housewife in the northern city of Kirkuk who had two brothers killed by Saddam's security forces in the 1980s. — The Polls: More than 15 million people are eligible to vote in one of more than 33,000 polling stations in Iraq's 18 provinces. There is also voting in 15 countries for eligible Iraqis. How Many Are Running: There are 7,655 candidates running on 996 tickets. They belong to 307 political groups -- either in the form of single candidates or parties -- and 19 coalitions. Biggest District: Baghdad is Iraq's biggest electoral district with 2,161 candidates running for 59 of the 275 seats in Iraq's parliament. Polling Times: Polls opened at 7 a.m. Thursday (11 p.m. EST Wednesday) and close at 5 p.m. (9 a.m. EST Thursday). Exit Polls: No exit polls or projections are expected. Results: There may be some scattered and incomplete results Thursday night, although after the Jan. 30 elections it took two weeks to announce final results. How Candidates Are Elected: Iraqis do not vote for individual candidates, but instead for lists -- or tickets -- that compete for the seats in each of the provinces. Each list corresponds to the seats represented in parliament for each province. This province-by-province voting will determine 230 of the 275 seats. The remaining 45 will be decided nationwide. All votes cast will be added up and divided by 275 to provide a national threshold number. Any tickets that receive more votes than that threshold gets elected. This provision is designed to help small and medium-sized tickets win representation. Government: The target is to have the count finished and a government in place by year's end. In the last elections, which did not see much Sunni Arab participation, it took until April 28 to form a government. FOX News' Dana Lewis and Liza Porteus and The Associated Press contributed to this report. BAGHDAD, Iraq — The Iraqi election commission extended voting by one more hour because of high turnout in the country's historic parliamentary elections Thursday. And to the surprise of coalition forces, violence in Iraq was much lighter than expected and the smattering of attacks didn't appear to discourage Iraqis, some of whom turned out wrapped in their country's flag on a bright, sunny day and afterward displayed a purple ink-stained index finger — a mark to guard against multiple voting. 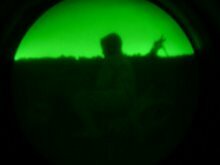 If all goes well, U.S. officials hope the vote will set the stage for a troop reduction in that country. "We see a set of circumstances with the elections that we can begin to downsize forces and reduce, significantly, the size of our forces in the aftermath of the election," U.S. Ambassador Zalmay Khalilzad told FOX News. "It can be seen as a calendar of events leading to … U.S. withdrawl." The high voter turnout was due, in part, to large numbers of Sunni Arabs showing up at some of the country's 33,000 polling stations; many Sunnis boycotted elections earlier this year. Many Iraqis had waited until the last minute to vote, to make sure the security situation was under control before they left their homes for the polls. An imam in Ramadi was heard over a mosque loudspeaker saying: "God will bless you with a great life if you go out and vote. This is your last chance to vote." Iraqis were voting to establish a permanent democratic government in Iraq; some preliminary returns were expected late Thursday, but final returns could take days, if not weeks. Vote counting could carry on until the end of December or early January. Iraqis voted in January to elect the current interim government that drafted the Iraqi constitution, which was approved in October. Strong turnout in Sunni Arab areas this time around bolstered hopes of U.S. and Iraqi officials that more Sunni participation and representation in the government could help quash the insurgency; Sunni Arabs make up the backbone of the insurgency in Iraq. U.S. officials also say the government need to be able to reconcile Iraq's disparate groups. The Americans also want to avoid protracted negotiations to choose a new prime minister and cabinet — a process that dragged on for three months after the last vote. "The Iraqi people are showing the world that all people — of all backgrounds — want to be able to choose their own leaders and live in freedom. 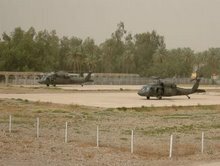 And we're encouraged by what appears to be a large turnout throughout Iraq," said White House spokesman Scott McClellan. Some Iraqis said Thursday's vote was a symbolic gesture of democracy that had been suppressed for years under the brutal rule of Saddam Hussein. "This is the day to get our revenge on Saddam," said Kurdish voter Chiman Saleh, a Kirkuk housewife who said two of her brothers were killed by the ousted regime. Voter turnout was brisk in the northern cities of Mosul and Kirkuk, especially in Kurdish districts. 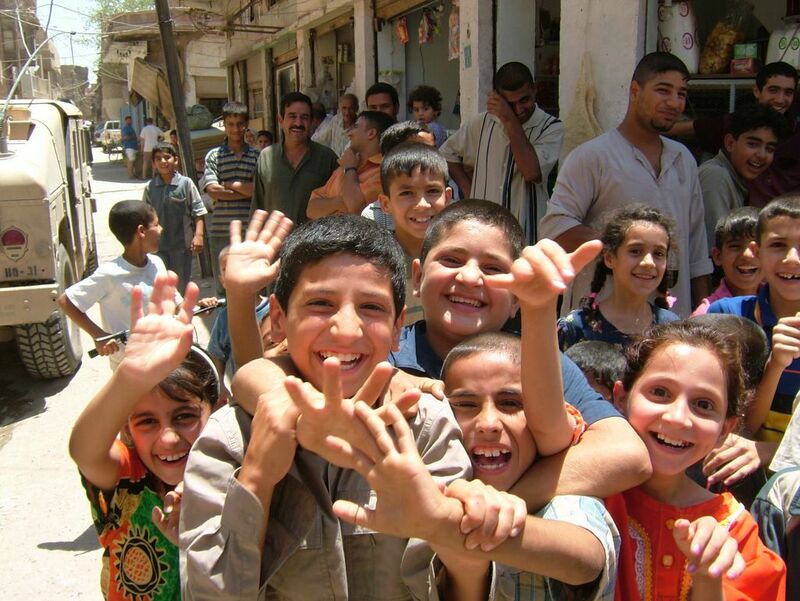 Ethnic tensions in Kirkuk, claimed by Arabs, Kurds and Turkomen, could be seen, however. Norjan Adel, a poll watcher for the Turokman Front, complained of irregularities by the Kurds, including multiple voting. She prevented a Kurdish policeman from entering the station carrying a flag of the self-ruled Kurdish region, saying: "I only recognize the Iraqi flag, and any other flag is a joke." More than 1,000 Sunni clerics called on their followers to vote, and insurgent groups, including Al Qaeda in Iraq and the Islamic Army in Iraq, pledged not to attack polling stations. 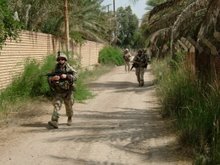 But several explosions rocked Baghdad as the polls opened, including a large one near the heavily fortified Green Zone that slightly injured two civilians and a U.S. Marine, the U.S. military said. A civilian was killed when a mortar shell exploded near a polling station in the northern city of Tal Afar, and a bomb killed a hospital guard near a voting site in Mosul. 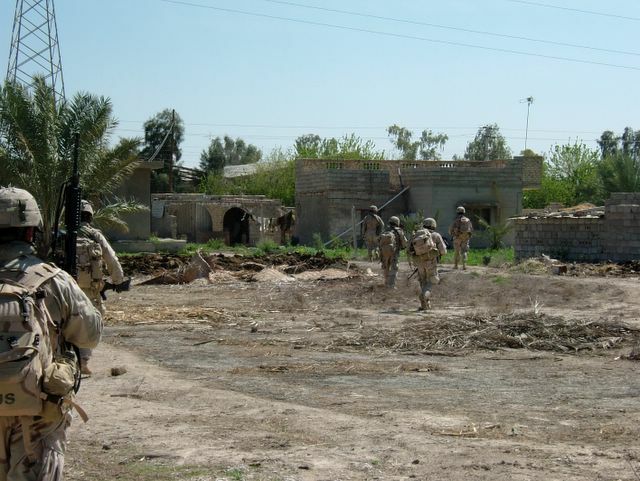 A bomb also exploded in Ramadi, and the U.S. military said one was defused at a polling station in Fallujah. Some election sites in Ramadi were guarded by masked gunmen. Maj. Gen Rick Lynch, deputy general for the multi-national forces in Iraq, told FOX News that there were only 14 attacks against polling stations, "which is a direct tribute to the capability of the Iraqi security forces … they wanted to make sure their people could vote for a representative government and they did that today." "This is an amazing day for the people of Iraq," he added. "It is a good day so far, good for us, good for Iraq," Khalilzad told The Associated Press. "This is a first step for integrating the Sunni Arabs and bringing them into the political process and integrating them into the government." Up to 15 million Iraqis were electing 275 members of the first full-term parliament since Saddam's ouster from among 7,655 candidates running on 996 tickets, representing Shiite, Sunni, Kurdish, Turkomen and sectarian interests across a wide political spectrum. Iraqis do not vote for individual candidates, but instead for lists — or tickets — that compete for the seats in each of the 18 provinces. An alliance of Shiite religious parties, which dominate the current government, was expected to win the largest number of seats — but not enough to form a new administration without a coalition with rival groups. That could set the stage for lengthy and possibly bitter negotiations to produce a government. The new parliament will serve a four-year term; an interim parliament was voted in Jan. 30, and the constitution was ratified in October. The new parliament will name a government, including a new prime minister. With a nationwide vehicle ban in effect, most Iraqis walked to the polls. Streets were generally empty of cars, except for police, ambulances and a few others with special permits. Tens of thousands of Iraqi soldiers and police guarded polling stations, with U.S. and other coalition forces standing by in case of trouble. 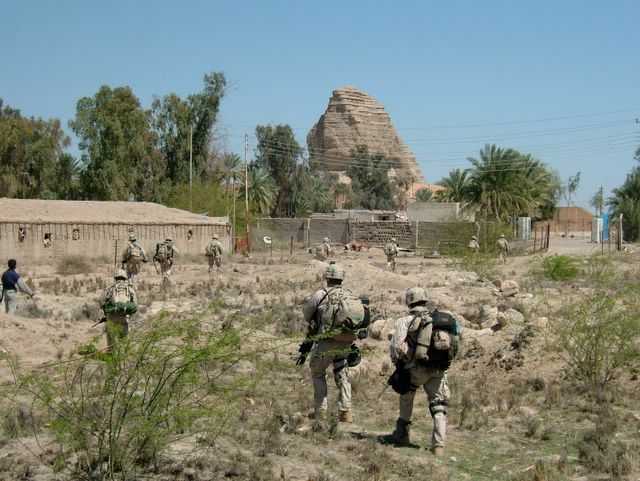 U.S. troops and bomb-detecting dogs checked thousands of polling stations before handing over control to Iraqi police. "Sometimes it feels like we're beating a dead horse, but maybe this here today will be the culmination of it all," said Staff Sgt. Jason Scapanski, 33, of St. Cloud, Minn., assigned to the 101st Airborne in Salahuddin province north of Baghdad. 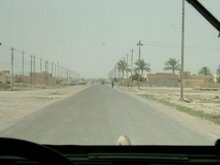 U.S. and coalition officials who are banking on strong voter turnout to elect a legitimate government in the eyes of the many different Iraqi groups who, despite some of their religious differences, have a common goal: To get a representative government up and running as soon as possible so that U.S. troops can go home. 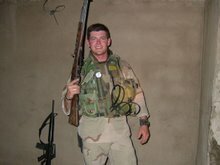 In Fallujah, the former Sunni insurgent stronghold overrun by U.S. forces in November 2004, hundreds packed a high school polling station, with many saying they saw the vote as a way to not only get rid of the Americans but to also get rid of the Shiite-dominated government. "It's an extremist government [and] we would like an end to the occupation," said Ahmed Majid, 31. "Really the only true solution is through politics. But there is the occupation and the only way that will end is with weapons." Even in insurgent bastions such as Ramadi and Haqlaniyah, Sunnis were turning out in large numbers. "I came here and voted in order to prove that Sunnis are not a minority in this country," said lawyer Yahya Abdul-Jalil in Ramadi. "We lost a lot during the last elections, but this time we will take our normal and key role in leading this country." Teacher Khalid Fawaz in Fallujah said he also participated "so that the Sunnis are no longer marginalized." Sunnis have repeatedly complained of abuse at the hands of Shiite-dominated security forces. U.S. and Iraqi forces have come across several apparent victims of torture around Iraq. The big turnout in Fallujah also caused problems, with voters, election officials and the mayor complaining of a shortage of ballot boxes and ballots. Mayor Dhari Youssef al-Arsan, who put turnout at about 45 percent, said 11 out of 35 polling stations did not get ballot boxes and some ran out of ballots in the early hours of voting. "Three sites stopped because they ran out of ballots," he said. "We had an administrative problem opening polling sites in some of the centers." He said some of the voters told him that "they thought it was done purposely." Shiites and Kurds seemed more hopeful that the new government would be more successful than the outgoing one in restoring security and providing basic services. Shiites also appeared confident of retaining their leadership role. The country's leading Shiite cleric, Grand Ayatollah Ali al-Sistani, told Shiites to support candidates who defend their principles — a veiled warning against turning toward secular political movements. "They are clerics, and clerics do not steal our money," said Abbasiya Ahmad, 80, as she voted for the Shiite religious bloc, the United Iraqi Alliance, at a Baghdad polling station. "We want people who protect our money." If all goes well, the United States and other coalition partners would like to begin drawing down their troops next year. Despite the positive signs in Thursday's elections, some Middle East experts warn that the work is not done when all the votes are counted. "I do think it's a very significant change, I do think it creates the potential to have a great impact," former Mideast Ambassador Dennis Ross told FOX News, referring to Sunni participation in the elections. "But before we rush to make a decision about how soon change will take place and what it's going to look like," he added, it will take awhile to set up the new government and for Sunnis make revisions to the constitution. Former Coalition Provisional Authority spokesman Dan Senor told FOX News said he believes the new government may be set up sooner than expected, perhaps within a month after the votes are counted. "I think the administration here, the U.S. administration, is going to be less reticent about putting pressure on the Iraqis to get a government formed quickly," Senor said. He also said there may be a problem with the new prime minister having enough power to make decisions, given how the Iraqi constitution decentralizes power in the executive branch, which may lead to gridlock among the Shiites, Sunnis and Kurds on some issues. "I do think in that regard, decision-making is going to be tough for any prime minister, whoever's elected," he said. President Jalal Talabani, a Kurd, highlighted a key looming fight — possible amendments to the constitution — as he voted in the northern city of Sulaimaniyah. "I hope that the Iraqi people will stay united. We hope that the people will vote to keep the constitution that was approved by the Iraqi people," he said. I am going to start posting some good articles and sites that provide solid information on Iraq's elections. Vahal Abdulrahman, creator of Dear Baghdad, now has another blog dedicated to covering Iraq's elections. Check it out: The Iraqi Vote. So, it’s about 7:22am and I am driving to work. It is pouring rain. I pull out of a gas station and am heading toward the highway so I can go work in my cubicle so as to pay my bills until I head out for Afghanistan. I am about a hundred meters behind a Ford Explorer Sport when it spins out of control and flies into oncoming traffic… nailing a PT Cruiser. The sounds of glass and medal shattering, bending and breaking, look like beasts attempting to slaughter each-other. Both vehicles lift off of the ground and spin as they embrace eachother with crushing power. I immediately grab my cell phone and dial 911. I provide the operator with a quick SIT REP (situation report). I then reach behind me… grab my CLS (combat life saver) bag and run to the scene. A woman and her two daughters lie in the grass on the side of the road. They are okay, just shaken up. Her daughters are around ten and maybe thirteen years old. Realizing that only one of these three people could have been driving, I ask if anyone is in the other vehicle. I run around to the driver’s side of the other vehicle and find an attractive woman, probably in her late 20’s or early 30’s… pinned in her vehicle. She has no visible life threatening injuries. She isn’t bleeding. She has full mobility of her upper body. I help her get her seat belt undone. She asks me to open her door. The impact has pushed her into the center of her vehicle. There isn’t going to be anyone opening her door by themselves anytime soon. As I lean into her passenger door I help her undo her seat belt and look quickly at her legs, wondering if they are just pinned under the dash or shattered by the crushing collision. Then, the Jacksonville Fire/Rescue arrived. I motion Fire/Rescue toward the woman in the Explorer. If anyone needs immediate attention it’s her. 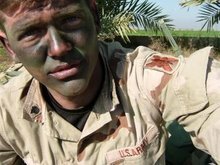 Then I walk to my truck and continue my completely normal and boring day, feeling more alive than I have since I returned home from Baghdad. I can’t wait to get back to the Middle East. My fellow Americans, you have a tremendous opportunity to help the soldiers that make up America's National Guard as well as their families. Leaders in the United States Congress as well as the Senate are currently considering legislation that would substantially increase health care benifits for soldiers in America's National Guard. This, in my humble opinion, is long over due. 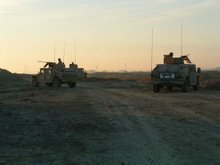 From patrolling Baghdad to training the Afghan National Army, from guarding airports to rescuing hurricane victims... the National Guard has been there, is there, and always will be there. We have been serving for over 368 years, America's longest standing military service. Today, more than ever, the National Guard stands tall as one of the strongest defenders of freedom and the American way of life. The TRICARE amendment will be debated and discussed between the House and Senate conferees within the next few days. Although we will have very strong support from the Senate in those conference negotiations, we still need to urge support from all House and Senate members and especially those from the House Armed Services Committee who are appointed as conferees. There are only a few days left in order to impact this legislation for this year. We need you to act immediately. Contact your Congressman/Woman and Senators immediately and urge their support for TRICARE. Ask them to contact members of the House Armed Services Committee and Authorization Conferees to urge their support of this critical provision within the Senate version of the defense authorization bill. We need to take care of our Guardsmen and their families and TRICARE for all is something that does just that. We now believe with one heavy closing grassroots effort we can get TRICARE passed this year. USE "Write to Congress" IT'S SO EASY! 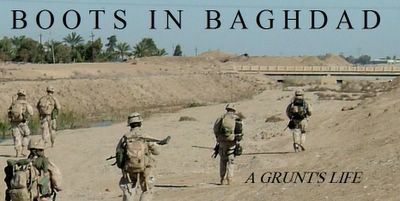 By using our "Write to Congress" feature that can be found on the NGAUS web page www.ngaus.org you can contact your Congressional members directly via e-mail, and send the pre- written message (or edit it as you wish) by entering your zip code in the space provided. Now is the time for Congress to support all National Guard members and their families with a comprehensive health care plan. We urge you, your family and friends to act now! This is a simple and quick way for you to say thanks to the soldiers serving in America's National Guard. If you have ANY questions please contact me. 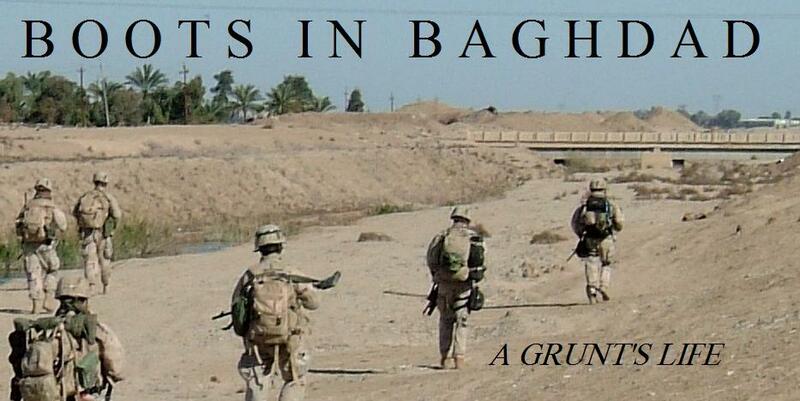 If you would like, e-mail your zip code to me at bootsinbaghdad@yahoo.com and I will send you your Congressperson and Senator's contact info. I volunteered to go... next month. Boots In Kabul? We will see.